This panel will uncover new & exciting ways to use technology to power social change. We will go beyond the basics—sending targeted action alerts & creating online petitions—& discover fresh & innovative virtual campaigning techniques for real results. PETA generated more than 1 million additional actions in their online alerts last year thanks to their iPhone app that allows users to take action with a few finger swipes & gives them points and badges for doing so. DoSomething.org used text messaging, email & web to activate 2.5 million young people to take action on causes from homelessness to the environment to teen pregnancy last year alone. In 24 hours HRC's timely marriage equality logo was reposted 10,000 times & had attracted 10 million page views. Using inventive tactics to leverage technology & social media for good means creating the possibility for millions of passionate people to band together & create tangible change, wherever, whenever, whoever they are. Anastasia Khoo is the Marketing Director for the Human Rights Campaign. In this capacity, Anastasia oversees organizational marketing strategies as well as manages digital media, advertising and various other public relations projects. 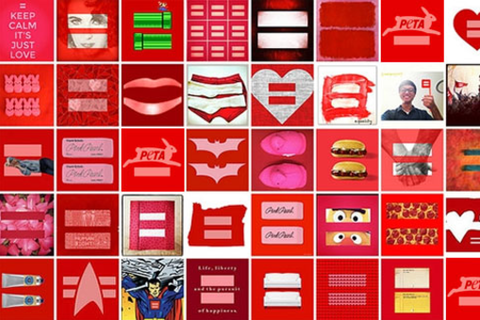 She was the architect of the red logo campaign in support of marriage equality, heralded as one of the most successful social media campaigns ever and Facebook's most viral campaign in its history. Prior to joining HRC, she spent six years in the environmental movement with Greenpeace developing its communications and brand strategy as well as collaborating on a variety of high-profile corporate and grassroots campaigns. Joel Bartlett oversees online marketing strategy for PETA where he combines his interest in internet technology and his sense of humor to create attention-grabbing websites and online games to promote animal rights. Most recently his Pokémon parody games have garnered over 750,000 views of footage of cruelty to animals that's unlockable in the games. Joel also oversees PETA's social media efforts, including PETA's over two-million "Like" strong Facebook page. Joel has a bachelor's degree from Wesleyan University. Noah Cooper is a Principal Web Developer on the Professional Services team at Blackbaud, with a decade of experience working with nonprofits. Noah works with some of the largest organizations in the United States to develop online marketing programs, with a focus on complex technical solutions that utilize Blackbaud’s Open APIs. Noah’s accomplishments include developing mobile-optimized donation form templates, and building a toolkit for organizations to integrate donation forms and action alerts into Facebook Pages. Prior to joining Blackbaud, Noah worked for People for the Ethical Treatment of Animals (PETA), where his focus was online advocacy and email marketing.